The casts of Friends and The Big Bang Theory made the dream of every sitcom fan come true earlier this week when they posed for one epic photograph together. The TV stars (minus Matthew Perry) were gathered for an NBC tribute to prolific director James Burrows when the picture was taken. 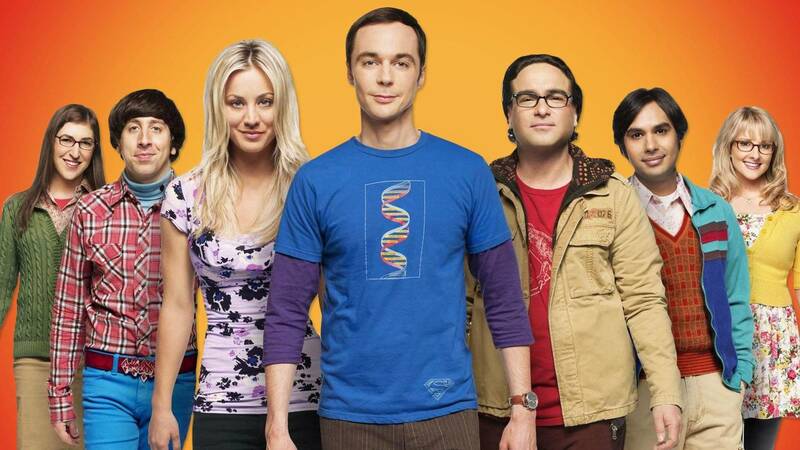 But aside from bringing two of our all-time favorite casts, the photo also got us wondering: Have you ever noticed just how similar Friends and The Big Bang Theory actually are? You may not have realized it in the past, but the two hugely popular sitcoms actually have a lot in common. In fact, almost every character on The Big Bang Theory is at least a little reminiscent of a character from Friends. This isn’t a bad thing — we love both shows and casts and each series has made its own impact on the TV landscape. Still, it’s fun to see all of the parallels between each show’s main characters and trust me, there are plenty to choose from. Case in point? Penny and Leonard’s relationship is actually eerily similar to Ross and Rachel’s. Just think about it: Both revolve around nerdy guys who harbor longtime crushes on the pretty, popular blonde girl in their lives and eventually end up capturing the girls’ hearts. And they’re not the only ones who bear striking similarities. Chandler and Raj both share a complete inability to talk to women, while Monica and Amy each drive their respective friend groups a little crazy with their neurotic personalities. And don’t even get us started with Sheldon’s “Soft Kitty” and Phoebe’s “Smelly Cat”! These are just a few examples, but there are plenty more hilarious parallels between the sitcoms. Don’t believe me? Check out the graph below, which highlights the connections between every Friends character and their The Big Bang Theory counterpart.